An Ethiopian Airlines Boeing 767-300, registration ET-AMF performing flight ET-702 from Addis Ababa (Ethiopia) to Rome Fiumicino (Italy) with 202 passengers, was enroute to Rome estimated to land at Fiumicino Airport at 04:40L (03:40Z) when an occupant forced the crew to divert the aircraft to Geneva (Switzerland) about 290nm northnorthwest of Rome, the crew activated the transponder code for unlawful interference while enroute at FL360 over the Mediterranean Sea between Libya and Sicily (Italy). While the aircraft flew straight towards Geneva the airport of Geneva was closed with a number of flights scheduled to land in Genevea needing to divert to Zurich (Switzerland), security and emergency services prepared for the arrival of the aircraft, fighter aircraft were dispatched to accompany the aircraft to landing. On approach to Geneva the aircraft entered a hold at 7000 feet for about 30 minutes before landing safely on Geneva's runway 05 at about 06:02L (05:02Z). 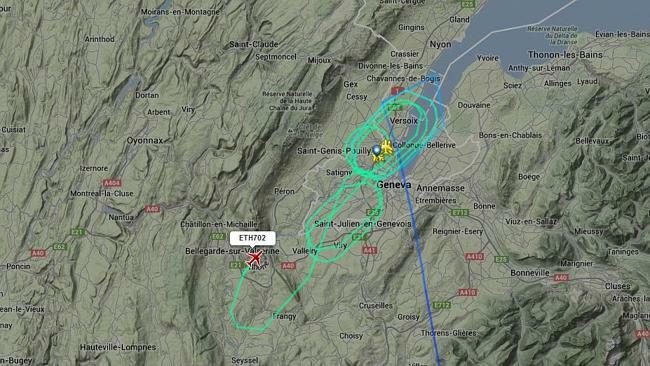 The hijacker was arrested, the passengers and aircraft searched, and the airport reopened at 08:15L (07:15Z). The occupants of flight ET-702 received medical and psychological assistance. The airline confirmed everybody on board of the aircraft is safe. Authorities in Geneva reported at about 09:00L (08:00Z) in a press conference, that the aircraft had been hijacked by the first officer (34) while the aircraft was overflying the Sudan. The first officer felt threatened in his home country and requested political asylum in Switzerland. 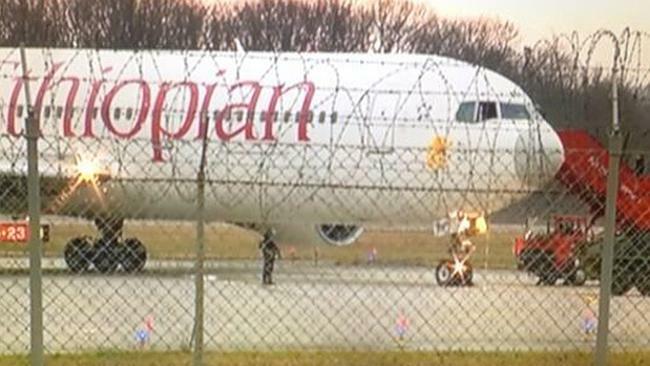 Ethiopian Authorities earlier had reported that the aircraft had a scheduled intermediate landing in Khartoum (Sudan), it is being supposed the hijacker(s) had boarded the aircraft in Khartoum, the number and intentions of the hijackers were unknown.